Dr Satish Kumar Gupta from Noida, Other Graduate. PHYSICIAN MEDICAL OF.. CLINICAL PHARMACOLOG.. MBBS MD PHARMACOLOGY.. PHD CLINICAL RESEARC.. MBA HOSPITAL & HEALT.. PHARMACOVIGILANCE MEDICAL REGULATORY &.. SCIENTIFIC MEDICAL W.. MEDICAL SCIENCE LIAI.. CGMP GCP ICTD OPENCL..
are one of expert skill area's of Dr Satish Kumar Gupta . 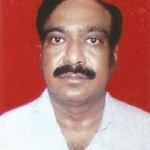 Dr Satish Kumar Gupta is working in Doctors/Nurses/Medical Professional industry.